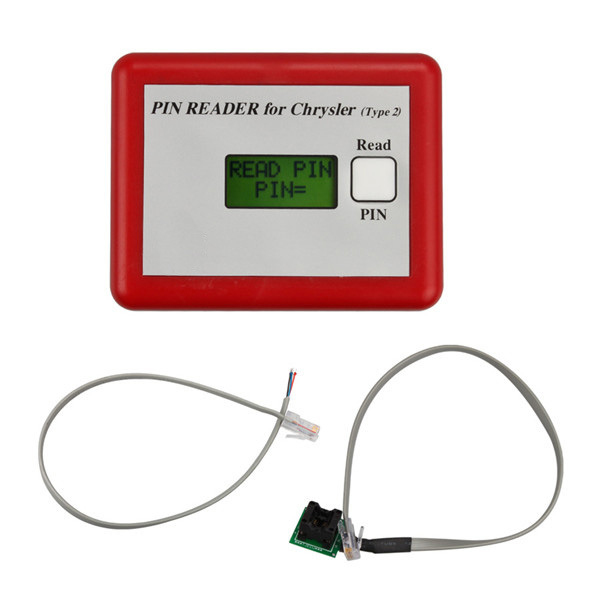 Chrysler pin code reader can read out pin code and data from Immobilizer controller and show the pin code on the screen of the device directly for for Chrysler (TYPE2) vehicles. Here we will share you how to use Pin Code Reader for Chrysler ? 1.Remove the IMMO box from the vehicle. The location is on the ignition lock. 2.Desolering the two pins of coil connection and removing the circuit from the box. 4. Clear every pin of 24LC02B and connect the clips with microchip, black point to pin1 of 24LC02B. 5. Then press “Read Pin” button on the unit. The screen will show the “pin code”. Also you can click here to free download pin-code-reader-for-new-chrysler-user-manual.